Four years of Welsh living – HubNut – celebrating the average! It is now just over four years since we got the keys to our cottage in Wales. That means it’s over four years since we jacked in our jobs and decided to have a bash at the Good Life. I hadn’t realised that Felicity Kendal had made such an impression on me. It’s good fun to look back. It was a somewhat bold move after all. We decided we could live on one exceedingly variable freelance income with financial sacrifices made in order to have a better overall life. After all, I’d been married for four years, but felt like I barely saw my wife due to hectic work-lives. For the past four years, we’ve been barely separated – it’s a bloody good test of a marriage! Happily, we seem to have passed it. We’ve absolutely loved living somewhere so special though. Every view is astonishing. The people (a mix of Welsh and English for the most part) are marvellous. It has been a largely very happy time. Living in Wales comes highly recommended. Initially, I was a bit crap at the whole hippy thing. I sold my 1955 Austin Westminster A90 as it hardly seemed ideal hippy transport at 20mpg. 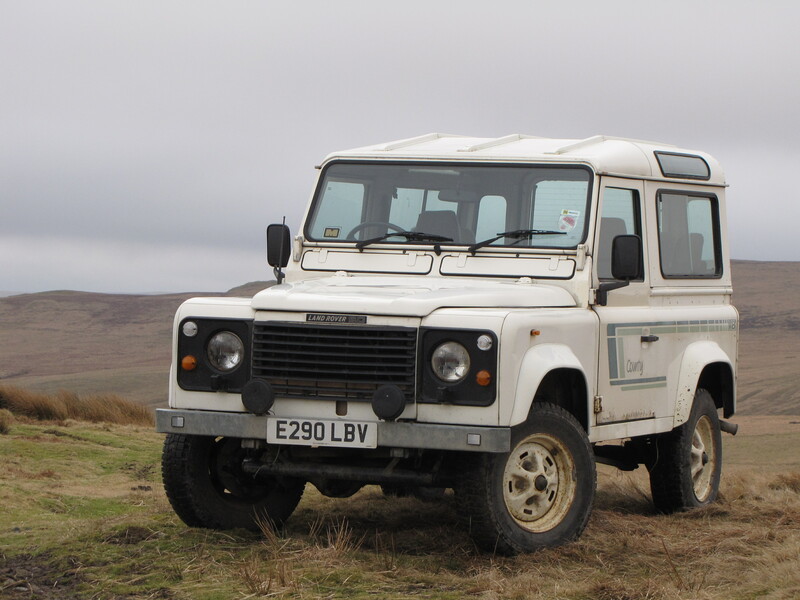 Within two months of moving to Wales, I’d replaced it with a Land Rover 90 V8 which did 15mpg. Go me! To be fair, I later sold it for an actual profit! This happens not very often. So overjoyed with my money-making spree was I (all £700 of it) that I went out and bought a Reliant Scimitar GTE. Again, not really a prime example of hippy living. But that’s ok, as I later replaced it with a diesel Range Rover, which ate up lots of money and put a stop to such silliness. Since then, I’ve been more hippy-like. There has been a pretty constant stream of dreadful, but cheap motor vehicles. Driving adventures have been few and far between though, as we rarely have budget to do much travelling. Heading to Scotland in January 2014 was a very rare actual holiday, paid for by my lovely wife taking a part time job at a local tourist attraction. We drove all the way there and back in a rusty Daihatsu that cost less than £400 to buy. But now there’s a problem. It’s the 2CV. Famed for being the original hippy machine, I can only assume that it rained less in the Swinging Sixties. 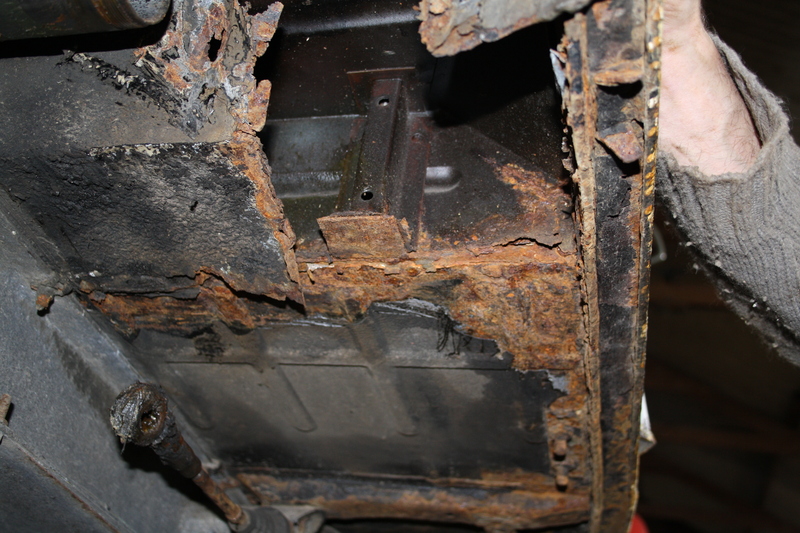 My 2CV is very rotten, and fixing it will be very expensive. Very Expensive is something we just don’t do anymore. It feels like a decision needs to be made, as current income does not support restoration fees. Something has to change. Either The Good Life needs some thorough re-jigging, or I can no longer own a 2CV. For now, I’m going to try and buy an XM and pretend the problem doesn’t exist. I’m sure everything will work out in the end. Sounds as if you require a passive income! could we ever see Ian Seabrook (author)? Well done for taking that huge step. Something I’ve always wanted to do. (Plans are being formulated) Landrover V8. Perfect if one doesn’t need to commute any great distance. Used to work on a friend’s Discovery 3.9 V8 with tuned engine and exhaust and it was indecently rapid and the sound was spine tingling. If it was possible to bottle up that engine sound I could have sold it as a ‘tonic for petrol heads’. Felicity kendal was nice but I’d be thinking of Margo.